Real Girlfriends: Is that even possible? Is it possible to have real girlfriends in 2010’s? I find that as I grow older, I seek to cultivate and maintain female relationships. I think it is healthy for women to have supportive relationships. I did not always think this way-that we should trust female relationships. I always thought those to be superficial at best, and spaces of gossip and contention at worst. I blame my not-so-trusting mom for raising my sister and I to not fully trust women. So, up until about 15 years ago, with this debilitating belief that women could not be trusted , I maintained that I didn’t need female friends-at least not new ones. With the “No new friends” motto firmly tucked under my armpit, I sought to maintain ones of old…old elementary school friends. But even those relationships expired without so much as a bounce of thunder. These friendships melted into a lifeless mold, running and burning its course as if destiny herself guided it forth, without so much of a fuss or effort. We grew apart. We love each other, but we’re no longer the same people. Our beliefs had changed, our priorities had changed. And with each life event, our lifestyles had also changed. Over the course of the years, our once lively, contagious and respectively dependent relationships came to an uneventful end. I didn’t realize that those relationships were over. Partly because they were over without notice. I was in the throws of motherhood. I had overcome post-partum depression. I was pouring my energy into teaching my three baby girls all I knew. At the same time, I had this unrelenting thirst for knowledge because I wanted to have something of substance to give them. Their learning became my tasks of learning, and seeking to acquire more to give. An empty vessel has but that to give. Because I understood what I lacked in my life, what my man could not give me, I had a newfound connection to how women approached life. I understood, firsthand, how inadequate a Black woman could feel due to lack. And “lack” is beyond monetary needs. But lack of support, friendship, confidence, education, resourcefulness, grounding, power, spiritual contentedness. And I wondered where it was, and how I would go about acquiring it. How could I share it with other women, to help stop their tears? The tears which could not be explained, except through the understanding that we women were lacking something. But what I found, was that through my creative work, I healed. Then, I unintentionally developed relationships. I never saw myself as a gregarious member of the community. But I was suddenly attractive to women. 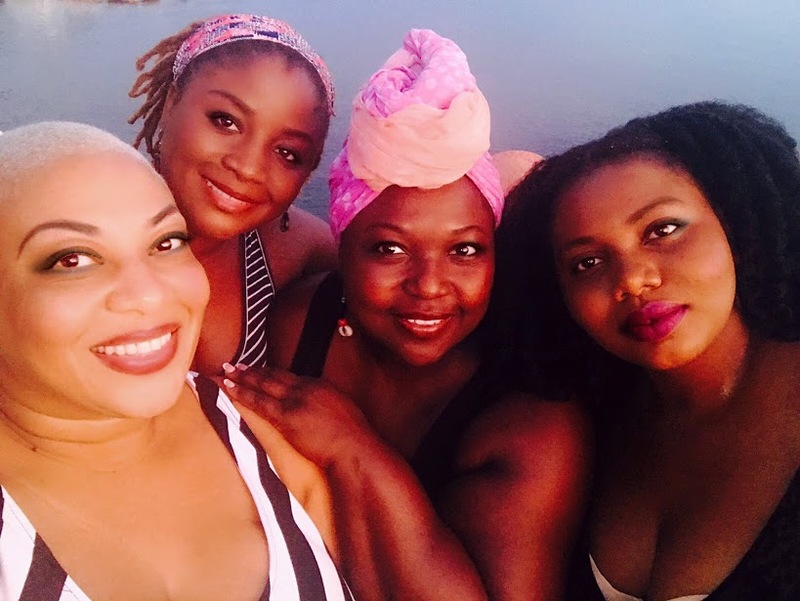 As I became more comfortable in my skin, I inadvertently acquired friends-no, sisters. I couldn’t control the care I felt for their growth and well-being. I understood my mom and sister more. I understood my global sisters more. I became a womanist. A womanist is one who supports other women. She loves women and is there, as a sister, to celebrate and lament victories and disappointments. Men should encourage this. But some don’t. That is the general thought, isn’t it? That Black women congregating means it is to the detriment of Black men? I believe the contrary. Real Black women support Black men. The war on Black families can be healed through the cultivation of real girlfriends-sisters, that is. That’s community. That’s our village. Together, we build nations. A real girlfriend is a mother, a sister, a counselor, a doctor, a spiritual healer, a work-out buddy, a motivator, a cheerleader, a shoulder to cry on, a baby-sitter, an advice giver, a critic, and confidant. A real girlfriend is you. Be a real girlfriend! Then, you won’t have to ask if it’s even possible to have real girlfriends in the 2010’s.